Not sure if the VR revolution is for you? Afraid you'll get motion sick? Eyestrain? Bruises from bumping into your furniture while wandering the virtual world? It's understandable. VR is a very new technology and we are only starting to understand the mechanics behind reducing motion sickness and increasing immersion. Luckily, the major VR headsets support a number of games designed to let you test the virtual waters, and we've compiled 10 of the best for you here. These games aren't necessarily the top games these VR platforms have to offer, but they are simple to understand, easy to control, and rely very little on moving through the virtual world. Think of these as demos for the VR experience. They will get you used to moving around in a VR space while helping your eyes and sense of balance adjust. Space Pirate Trainer is a simple light-gun style shooter in a virtual sci-fi world. You stand inside a space station surrounded by angry flying aliens. 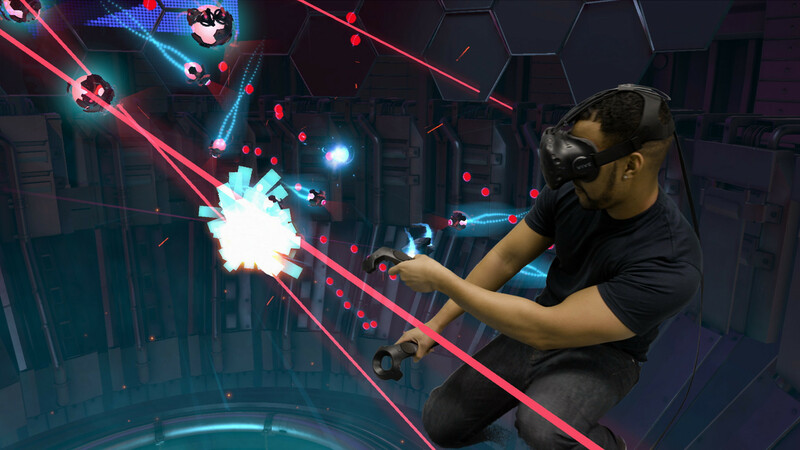 You use the Vive's motion controllers as laser pistols to shoot them down before they overwhelm you. It's kind of like virtual reality space invaders. 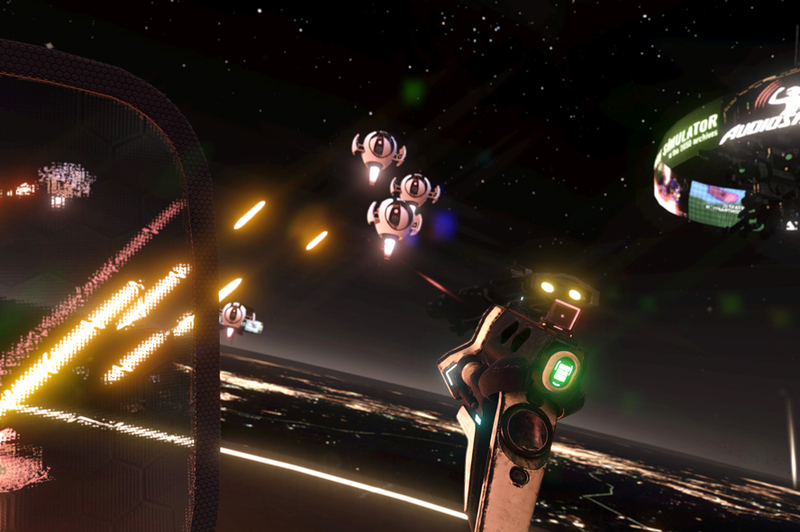 Space Pirate Trainer is a great choice for beginners because it only requires turning and aiming, even though the Vive actually allows you a small bit of movement through a virtual space, if you care to use it. Hate your day job? Want to throw a stapler in your boss's face? Want to fill that annoying customer's sandwich with motor oil? Want to bling out a car with accessories that may or may not have fallen off the back of a truck? Well now you can with Job Simulator. This title is a series of mini-games designed to get you used to manipulating objects in a virtual space. Once again, very little spatial movement is required so the chance of motion sickness is minimal. The focus on motion controls will get you acclimated with your chosen headset's method of input. Also, did I mention that you get to throw things at your boss? 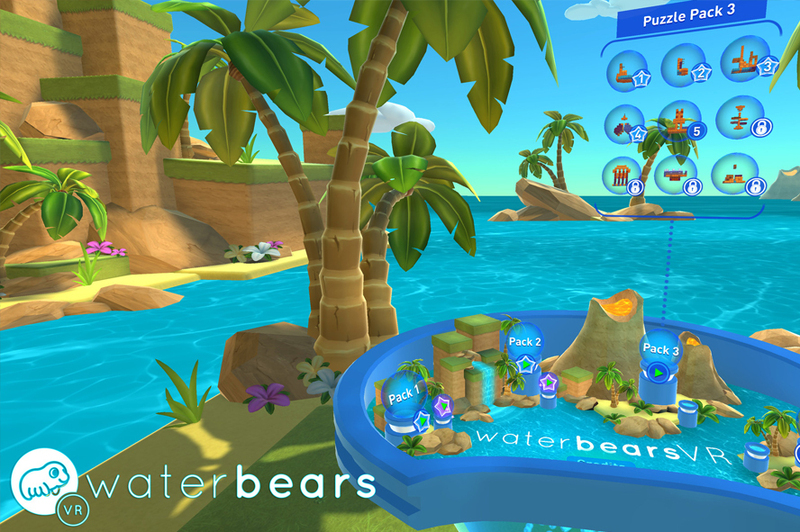 Bright, cheerful, and with just enough of a challenge to keep younger gamers engaged, Water Bears VR takes a traditional puzzle sub-genre, that of directing water through a series of pipes, and gives it a wonderful new life with a VR headset. With Water Bears you feel like you're actually inside the tangle of twisting pipes you're attempting to sort out, and it gives you a whole new perspective on the puzzle as you actually move around it to see it from different angles. One of your controllers acts as a pipe "palette" of sorts, and the act of grabbing the tool you need and putting it into place soon becomes second nature. Best of all, Water Bears is only $9.99 on Steam, offering a low-cost, low-stress, bright and cheery introduction to VR for younger gamers. 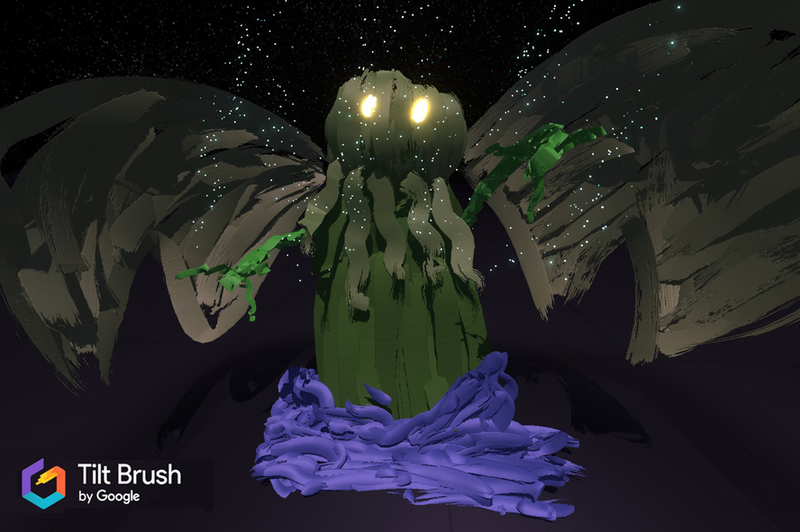 Tilt Brush is barely even a game. It's an application that lets you draw 3D images in virtual space. It's perfect for beginners because there is no fail state. Just grab a virtual brush and paint away, and then walk around your beautiful sculpture to appreciate it from all angles. It perfectly captures the feeling we all had when we opened up MS Paint for the first time, a sense of wonder at a new and emerging technology unlike anything we had seen before. Also, it's included free with every Vive. So before you jump into a full VR game, take some time to make a couple 3D works of art while simultaneously learning to navigate virtual space. Be sure to check out some of the works of other users in the gallery, too. 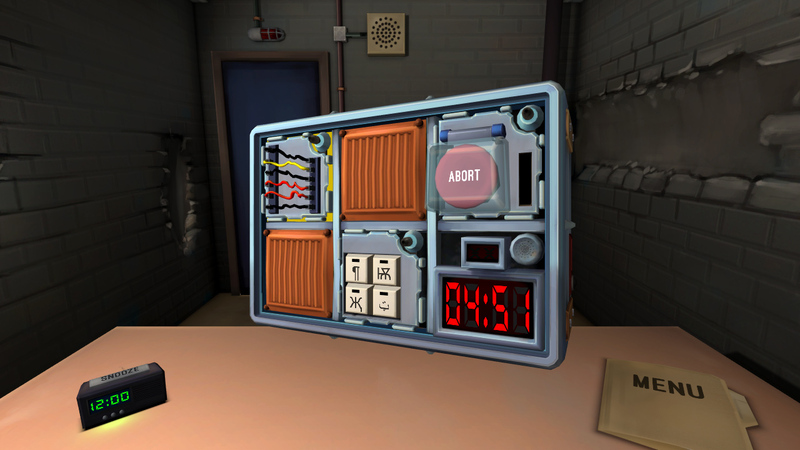 Oddly enough, it's not the VR technology that will impede most people from playing Keep Talking and Nobody Explodes. It's the 23 page manual that you have to print in dead tree format (or flip through in PDF form for a less tactile experience). But once you get past the paper and ink expenditure, Keep Talking and Nobody Explodes is a fantastic party game. The goal is simple. The person wearing the VR headset is given a bomb to diffuse. Everyone else in meat space has to look up how to diffuse it in the manual and communicate them to the player. It requires no movement through virtual space and can be played with a controller instead of motion controls. 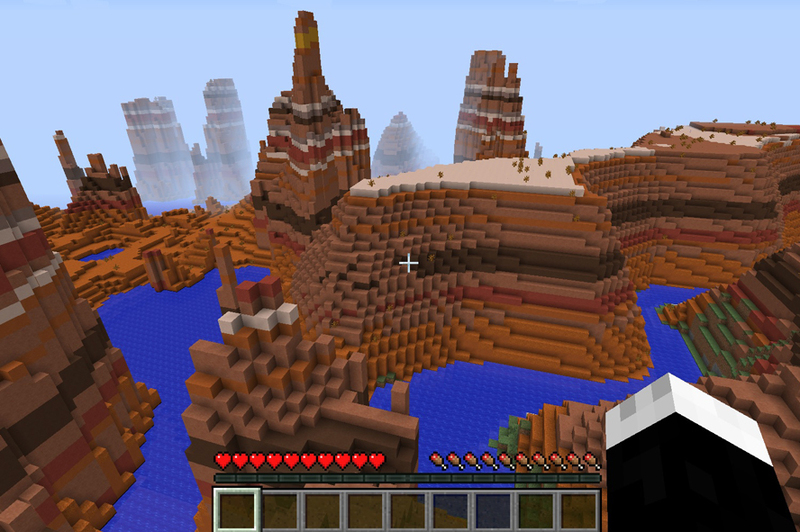 Everyone already knows and loves Minecraft. Very little explanation is needed here. If you've played it on a traditional console or PC you'll be able to hop right in to the virtual experience. Unlike many games on this list, Minecraft VR does require a vast amount of movement through the virtual world. Huge structures can look imposing and virtual heights can cause vertigo even though the world is constructed out of pixelated blocks. Luckily, Minecraft VR has a shortcut to immediately take you out of the virtual world and, instead, play on a virtual TV in a simulated living room. Just use this shortcut whenever things get too intense and slowly ease yourself into the role of your blocky virtual avatar. 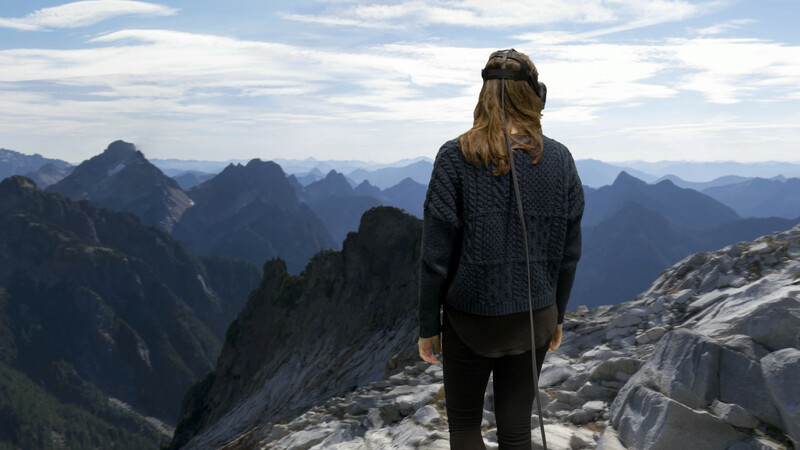 What better way to get used to motion in the virtual world than a walking simulator? 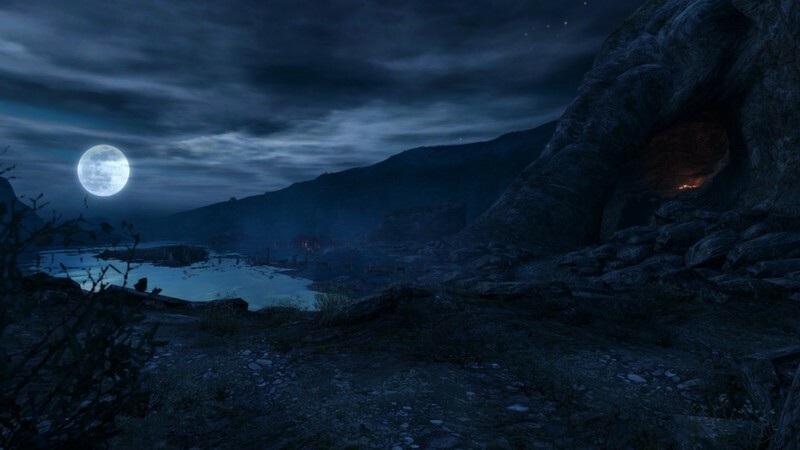 The whole point of Dear Esther is to explore a remote Scottish island as the narrator reveals more and more about the plot. This worked just fine with a keyboard and mouse interface, but it feels so natural in VR. Just turn your head and look at whatever interests you. It's slow-paced and has a calm atmosphere, perfect for getting used to moving through a virtual environment. You are actively encouraged to stop and look around, which is exactly what you need to do in order to acclimate yourself to VR head-tracking. The Lab is kind of like the Wii Sports of virtual reality. 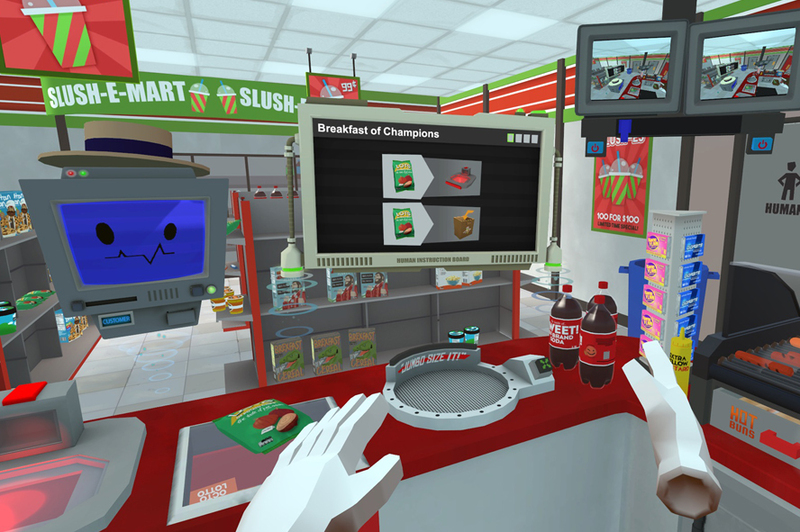 Made by Valve itself, this mini-game compilation is specifically designed to teach you the ins and outs of VR. Each individual game focuses on a new VR element, from motion controls, to head tracking, to position tracking. It's simple, it's fun, it's dripping with the humor that made Portal such a hit, and best of all it's free with the HTC Vive making it yet another must-play before jumping into more intense VR games. I might have included this on the list because I'm just a gigantic pinball fan, but I still say it's a fantastic way to get used to virtual space. The controls are dead simple: everyone knows how to play pinball! In fact, the only way that VR enters into the equation is through your point of view. You actually get to hover over these machines like you did when your mother gave you a roll of quarters to squander at your local arcade when you were five (assuming you aren't too young to have ever experienced that). Lean in and get a close look at the detail. 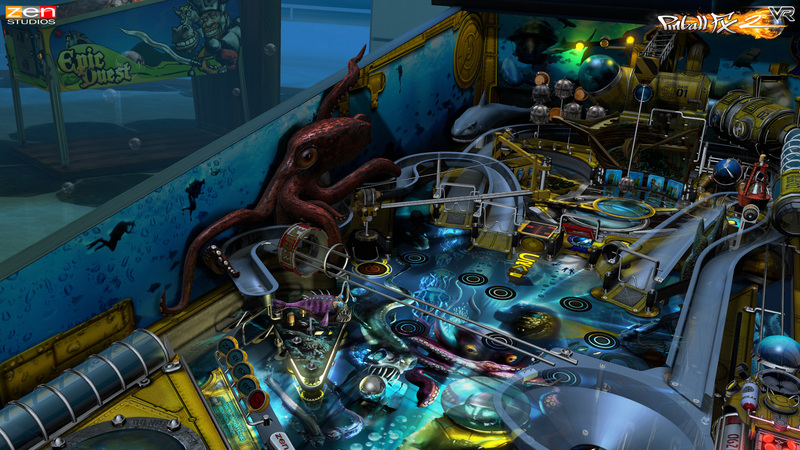 It's the perfect fusion of new technology and old, a virtual nostalgia bomb for would-be pinball wizards. Lucky's Tale is perhaps the most intense game you will find on this list. Unlike the other games, however, you aren't put in the point of view of the main character. Instead you are the camera, hovering around a cartoony mascot as he goes on his platforming journey. 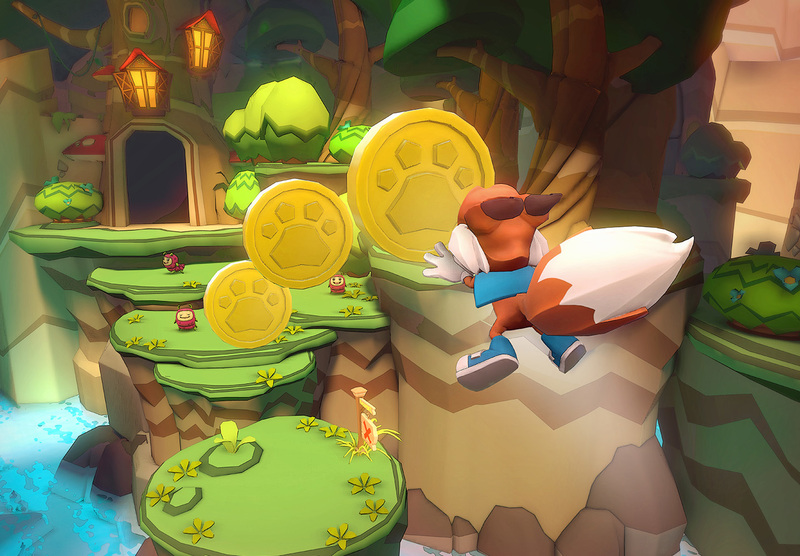 Lucky's Tale is an example of Fish Tank VR, a game that is not meant to be immersive. But the upside is that there's little chance of becoming motion sick when you aren't the character that's moving. Oh, and best of all. It's free with an Oculus Rift.